Which Types of Dashboards Should Your Company Use? These days, there are more business dashboards than there are businesses to use them. Hundreds of software companies are making thousands of products, with the sole intention of giving business owners more decisions for how to organize, understand, and make decisions for their business. But how are you supposed to decide which dashboards you really need and which ones are superfluous? Why Rely on a Dashboard? In the off chance you aren’t familiar with dashboards, or if you’ve only been using one specific type of dashboard for the majority of your career, it’s a good idea to look at dashboard examples so you know what’s out there. Time savings. Entering data into pre-determined fields in a dashboard, or better yet, uploading an automatically generated CSV, is much easier than trying to manage a wealth of data on your own on a manually kept spreadsheet. Dashboards are designed to save you time, and as long as you choose one with a decent user interface, they almost certainly will. Accessibility. Cloud-hosted dashboards especially are highly accessible; any of your team members can log into the dashboard at any time and get up-to-date statistics, or add to the data that’s already there. It’s an easy way to keep everyone connected. Organization. Most dashboards also help you by keeping things neatly categorized and arranged. With search features, you can find information faster than you would otherwise, and you don’t have to worry about complicated or bulky physical records. Visuals. Data visualization is a powerful tool in statistical analysis and business decision making, and most modern dashboards incorporate it. With a click, you can generate an interactive chart or graph that perfectly illustrates how your campaigns have developed. Customization. Few dashboards remain stagnant or one-size-fits-all; there are practically limitless customizations you can add to make your dashboard truly yours, whether it’s adding room for more data fields or improving the UI and integrations. Financial. Accounting is important not only to determine your business’s profitability, but also to keep things organized in case you’re ever audited. You need to keep several years’ worth of records on file at any given time, and if you attempt to do this using an old-fashioned paper filing cabinet system, you’ll be hard-pressed to find the information you need when you need it. Marketing. Marketing is an art and a science, which means no matter how well you plan in advance, your campaign can be unpredictable. Because you’ll be working with hundreds of variables and investing significant sums of money, you’ll need a platform that makes it easier to manage and interpret the data you pull from your results. Your marketing team will thank you. Sales. 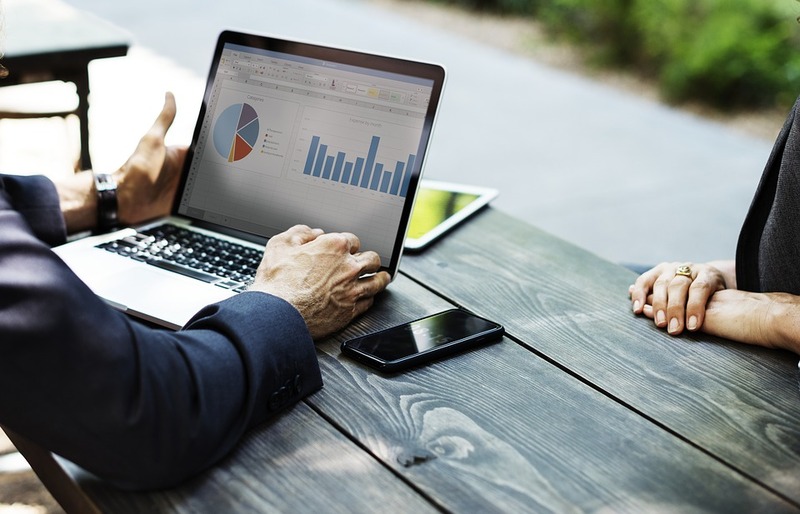 Sales may be integrated with your financial management platform, but you should have some standalone functionality dedicated to your customer interactions. You should be able to track how you’re getting leads, the quality of those leads, and how you’re closing those leads and turning them into sales—otherwise, how can you be sure your process is working? Management. If you’re managing lots of projects, or if you have multiple team members to oversee, you’ll need project management software on your side. It makes task processing much more straightforward, and helps you pull insights about both individual and organization-wide efforts. Operations. You’ll also want a dashboard that gives you a high-level perspective on your overall operations and strategy. That means tracking human resources, your ROI for various projects and investments, and your growth trajectory, based on your current inputs. Does this mean your business is doomed to failure if you don’t have one of each of these dashboards ready for your use? No—in fact, some business dashboards have opted for the all-in-one model, giving you a single dashboard with nearly all these functionalities. Small businesses, with less complex financials and operational models, may also do fine without any software—it all depends on the individual variables that make your business unique.